A Possible Life. By Ben Krewinkel. 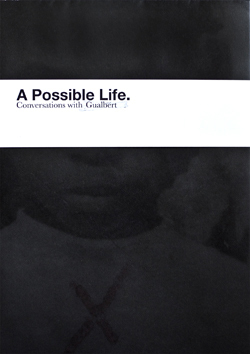 The beautifully crafted and layered A Possible Life uses photographs, letters, conversations and documents to investigate the life of Nigeria immigrant who has lived in the Netherlands for ten years, though the identity of the man called Gualbert remains at least partially hidden because of his status as an illegal alien. Selected as one of the Best Books of 2012. Singular Beauty. By Cara Phillips. Presented in a clean white box, the wonderfully designed Singular Beauty by Cara Phillips peers into the doctor’s offices, operating rooms and at the strange devices of the cosmetic surgery. Phillip’s perfectly composed photographs show spaces that are not just a medical sterility, but also cold and lifeless, devoid of human presence. Selected as one of the Best Books of 2012. The Line. By Palindromo Meszaros. The cover photograph of The Line by Palindromo Meszaros is an image that is difficult to forget -- red mud covers the bottom of trees, the line matching up perfectly with the horizon. It's an impossible looking image, one that can take a few seconds to make sense of, and is a perfect encapsulating image to describe the terrible disaster that lead to its creation. On October 4th 2010, a retaining wall of a reservoir containing waste water from the MAL aluminum company burst, flooding the town of Ajka, Hungary will a million cubic meters of toxic waste. Causing ten causalities, poisoning fields and creating irreparable damage to homes and infrastructure, Meszaros photographed Ajka six months later. While the water had long-since receded, its presence remains -- every part of the landscape is stained with a red line from the toxic water that filled the landscape. The visual beauty of the red line pulls us into the work, but the disastrous event that caused it can never be forgotten, and the two presences are in conflict in every frame. The self-published book is beautifully designed making for a memorable document.